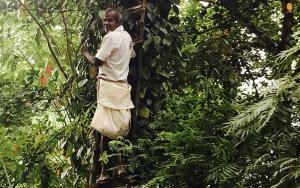 I have just returned from a trip into the lush humid heart of Sri Lanka’s premier spice growing region. 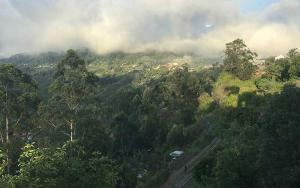 A mountainous inland area, densely forested and nourished by fast flowing streams and lingering moist clouds. 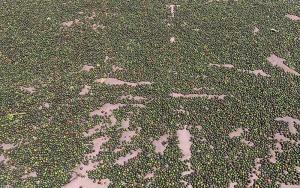 Here in these fertile lands farmers were busy harvesting ripe peppercorns and spreading them to dry in the sun. It was fascinating to observe that the methods of cultivating the pepper vines and the mode of harvest and curing has remained the same since ancient days. Vines seem to thrive best in the part shade of mature tropical trees and are grown up living sapling poles that are pruned to maintain the right height and also provide a little shading to the roots. 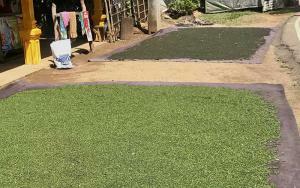 The pepper corns or seeds are harvested green and spread out to dry in the sun. Once the seeds have dried they take on the familiar black wrinkled appearance that we associate with the spice. 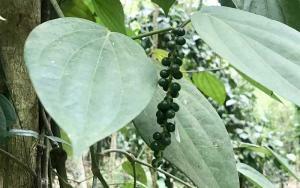 Black pepper (Piper Nigrum) is the most widely traded spice in the world, coveted by chefs and home cooks alike, familiar to most as the accompaniment to salt on our dinner tables. 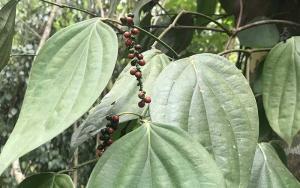 Black pepper has a rich history for both culinary and medicinal use and has long been considered the king of spices. This pungent little seed is highly prized the world over and now experiencing somewhat of a renaissance when it comes to it’s medicinal use. Sri Lanka, Southern India, Brazil and Madagascar as well as some South East assign countries. 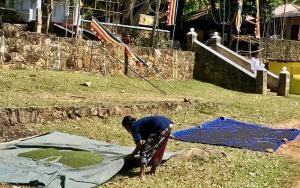 I have learned that Sri Lanka produces around 5.7% of global pepper supply and is known for it’s superior flavor and a high Piperine content (up to 6 times higher concentrations than pepper from other regions). 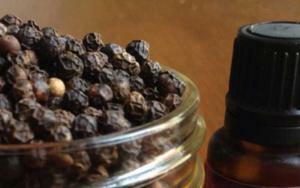 Piperine is the alkaloid that gives black pepper it’s pungency and also it’s medicinal potency. The primary medicinal value of pipeline is it’s ability to enhance the bioavialbilty (uptake) of certain minerals, vitamins and phytochemicals. Of particular interest is the ability of pipireine to enhance the bioavailability of Curcumin (active compound in Turmeric root) by a factor of 20. Other key nutrient that are easier to assimilate with pipeline including Beta-carotene (vitamin A), Selenium, vitamin B6 and some essential amino acids. I love to add fresh ground pepper into a fresh vegetable juices and cold soups like Gazpacho. Combine spices in a small jug and stir in the mylk, pour into the pan and heat slowly. Place the coconut oil into a small glass or cup and stir in the black pepper oil and the honey or coconut nectar. Gently bring mylk and spice blend to the boil. Turn off the heat and add in tea bags, leave to steep for 5 mins. In Ayurvedic preparations the Black pepper is considered an important healing spice and an essential ingredient in many herbal preparations. Through it’s ability to stimulate the circulatory system, it helps to transport the compounds of other herbs around the body, enhances the free flow of oxygen to the brain, stimulates appetite and digestion. It is most often used topically to aid respiratory function and enhance joint health. It is considered a warming spice which balances Kapha and Vata whilst stimulating Pita. In Ayurvedic cooking Black pepper is used to add pungency and promote digestion, it combines well with most other spices and herbs. For those who find chili hard to tolerate, black pepper offers the heat component that can complement other more aromatic spices. Therapeutically Black pepper EO is used to treat digestive and nervous system disorders and to support respiratory and circulatory systems. 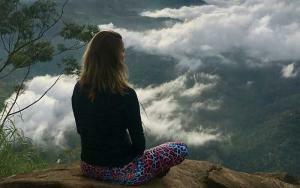 It is very effective at alleviating anxiety and generating a sense of wellbeing. The Essential oil of black pepper is a staple in my ‘magic pouch’ it is wonderful used in foods that require that ‘kick’ as well as in Golden Mylk and Chai preparations. (see recipe below). One of my favorite uses for Black pepper EO is for massage. An effective combination is to add equal parts black pepper EO with Lemongrass EO in a carrier oil such as jojoba or coconut to make a wonderful joint and muscle rub. I find this blend to be especially effective after vigorous exercise or to warm the muscles in cold weather conditions. Blended in a carrier oil with Tulsi (Holy basil) and massaged onto the soles of the feet it helps increase energy levels and gives an enhanced sense of balance and wellbeing. Keep out of reach of children. If pregnant or nursing, proceed only with qualified guidance. Avoid sensitive areas, eyes, inner ears and areas of broken skin. 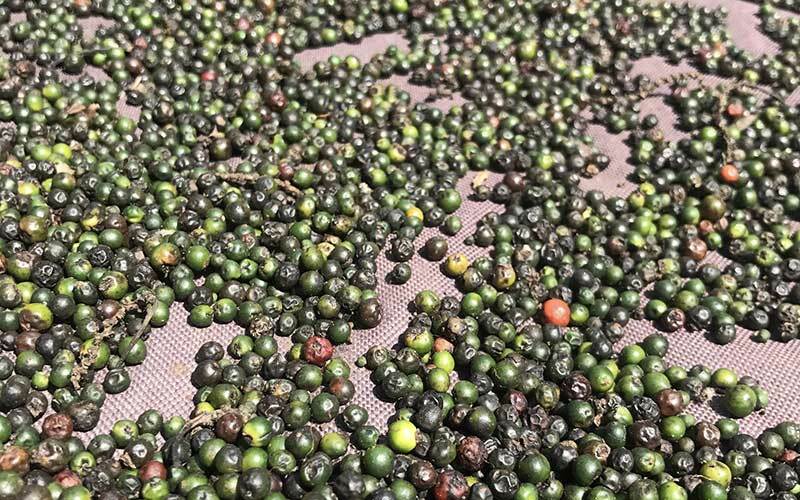 There are several ways that you can help to ensure that your Pepper is sourced as responsibly as possible. There are some countries that harvest Mahogany trees to use as poles for growing spices like Pepper and Vanilla. When choosing your product look for Rainforest Alliance stamp on the packaging or opt for organic. 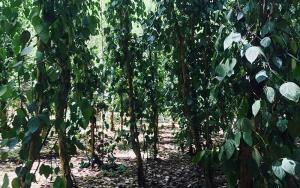 Most of the Pepper in Sri Lanka is grown up living trees and so is a good option. As with any spice, opt for the whole seed or pod as ground products are constantly oxidizing and loose both flavor and beneficial compounds rapidly. grind as and when needed for an optimal culinary or medicinal experience.